During the past 25 years there has been a rapid expansion in the deployment of photovoltaic (PV) systems throughout Europe. There is no sign that this growth is abating. Early PV systems are now coming to the end of their working lives – a big disposal challenge that will increase in the coming years. Our team has identified a market and business opportunity caused by this growing problem. We have a technological approach that will be established and validated at an industrial scale during the next months. ELSi technology comprises both mechanical, thermal and electrolytic based processes. The focus and primary innovation involves electro separation techniques. 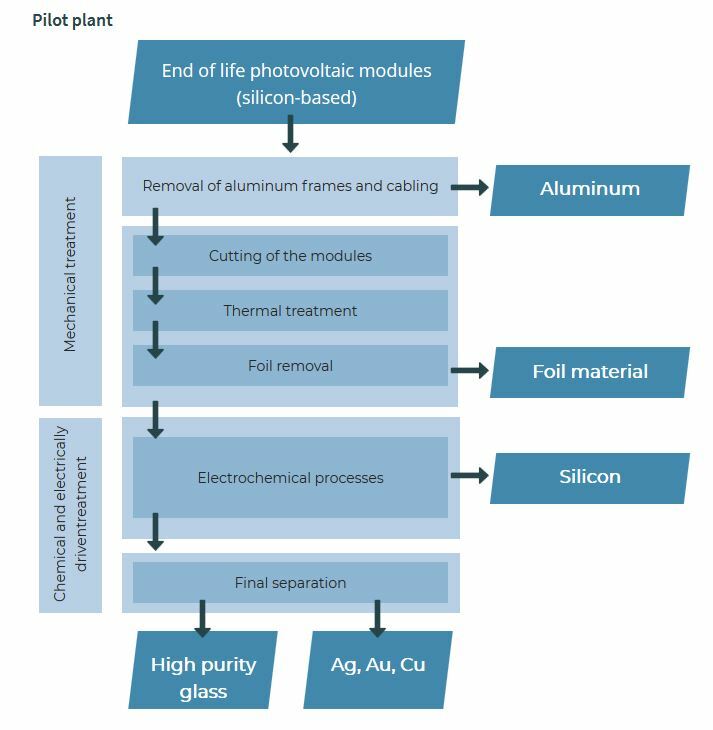 Mechanical separation processes, chemical dissolution and electrically driven separation and winning will be combined in new way enabling economically viable recovery of silicon, high purity glass, aluminium, silver, copper, gold, tin and lead from end-of-life silicon-based PV modules. Previous research and development resulted in a patent which is the core of the ELSi PV recycling system.